Our old friend Afra Raymond explores the dangers of Government-to-Government arrangements. Once again, those politician piggies at the trough will do anything they can to sideline the tendering process and turn public funds into personal profits. How many Barbados politicians have foreign bank accounts in Canada, the USA, Switzerland or some private bank somewhere? We don’t know because Barbados has no integrity legislation and no requirement to disclose assets, and no conflict of interest rules. The current Government to Government (G2G) arrangements are a direct threat to our country’s fundamental interests. The key element of the G2G arrangement is that a larger, more advanced, country will assist a smaller, less-advanced country by building or operating complex facilities which are beyond the reach of the smaller state. One of the features the G2G arrangements have in common with the other large-scale projects is the high degree of secrecy with which the proposals are developed. That secrecy raises doubts as to whether proper Needs Assessments are undertaken and as to the degree to which the views of citizens and stakeholders are sought, far less considered. The fundamental issue as to the necessity for these projects is thus routinely sidelined, which is inimical to the public interest. Politicians everywhere love those state-controlled enterprises that are exempt from the rules applying to wholly owned state-enterprises. Why, you ask? It’s all about politicos being able to profit from your tax dollars while hiding the profits. It’s been a constant battle trying to craft integrity laws because the moment a country puts them in place the politicians discover a hundred ways they are exempt. In Barbados, of course, we don’t bother with Integrity Legislation because we’re happy that the politicians and government employees are able to steal. With about 60 % of the islands workforce somehow employed by the government it all works out. Well, everything works out except the mathematics of keeping the whole thing afloat. Our old friend Afra Raymond has a problem with the Trinidad & Tobago Appeal Court ruling that undermines Integrity Legislation. We only wish we had the same problem in Barbados. For in Barbados, we have no integrity or conflicts of interest laws at all! It doesn’t much matter whether we’re talking a corrupt BLP government or a corrupt DLP government – it’s the “Same old, same old ’bout this place”. Once elected, party officials rush to turn political influence and government authority into personal profits. Today’s scandal involving a DLP executive member is only today’s scandal. CLICO was yesterday’s scandal. Tomorrow there will be something new, and when the BLP forms the government after the next election there will be more scandals coming – only BLP in their flavour instead of DLP. Without Integrity Legislation, Freedom of Information and accountability laws, the buying and selling of political influence and government authority will continue to carry no penalty. Look how brazen these people are! 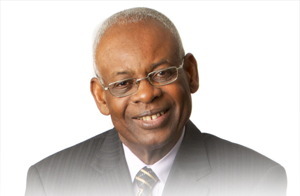 In this case, noted Jamaican-Canadian businessman Denham Jolly was happy to make a loan in 2011 to a Barbados development project pushed by the President of the Barbados DLP (Canada), Reynold Austin, upon assurances that the project was important to the Democratic Labour Party government. In other words, the DLP (Canada) executive tied the success of the business project directly to his insider status with the governing party. Jolly was happy with that. Only when the property development was unable to make loan payments did Mr. Jolly complain. Why should a privately-owned property development be a “great investment” because it is a “centrepiece for the Government” and “the enhancement of their re-election”? How does a privately-owned piece of property increase in value due to an association with government? That’s an easy question for any Bajan because we’ve seen decades of worthless scrub and agricultural land turned into millions when a government bestows building permissions upon land owned by political friends. 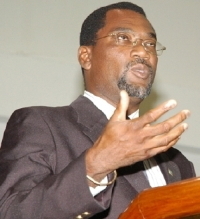 It is a scandal that the DLP executive Reynold Austin marketed his land development project on the basis of his position with the ruling DLP Government, and the stated value of the land to the government and therefore ‘enhanced’ value of the loan-provider to the Government and the Government’s re-election. In the Caribbean, budget time is corruption time! In the next few weeks, this column will cover some of the issues which are likely to have a bearing on the 2012 Trinidad and Tobago Budget. The same issues apply to Barbados – especially considering the country’s lack of Integrity legislation, conflicts of interest rules, accountability mechanisms and Freedom of Information laws. Without these basic foundations, Barbados politicians, government officials and managers of state-owned enterprises can only pretend to be accountable to citizens: and pretend they do! While staggering down the side of the road one afternoon near Grape Hall, a well known Member of Parliament is tragically hit by a garbage truck and dies. After a short stop in Bridgetown to pick up a cheap bottle of E.S.A.F. rum, his soul arrives in heaven and is met by St. Peter at the entrance. As the newly appointed head of the Turks and Caicos Integrity Commission, SIR David Anthony Cathcart Simmons recently ordered that members of the advisory council and consultative forum must now declare their income, assets and liabilities along with all other senior public servants including senior judges. See: Sir David Simmons declares Turks & Caicos public servants must declare assets – but not him! Thanks to BFP reader “Not Me!” for the comic. It looks like Shona and Clive have some competition! You have to love this country, folks. Dr Leo Brewster gets a job running a government agency, the CZMU. As part of the job, he hands out millions of dollars of contracts to others. Then he and a fellow government employee start a company and Brewster awards hundreds of thousands of dollars in ‘work’ to his own company. Not satisfied with this, he has the government purchase equipment for his company to use. The equipment cannot be found in government inventory. Nothing like having the government equip your business – keeps those start-up costs down. Slick! This goes on for almost four years during which time Brewster’s company also collects VAT and fails to remit the tax to government. Yup, they collected the tax from the government agency and failed to remit back to government. So it wasn’t just a loss of collected tax revenues, it was an actual theft OF government funds. Here we are a year and a half later and just like we predicted at the time, it all faded away. Dr. Brewster is still Director at CMZU. Nothing changed. Perhaps there was something in the news that we missed – perhaps not – but does it really matter? The lesson is again taught to the populace: Government job = money on the side with no worries. Even if you get caught. Leo Brewster awarded government contracts to own company! Dr. Leo Brewster shouldn’t get too upset about the current allegations that he directed hundreds of thousands of dollars of government contracts to his own company.